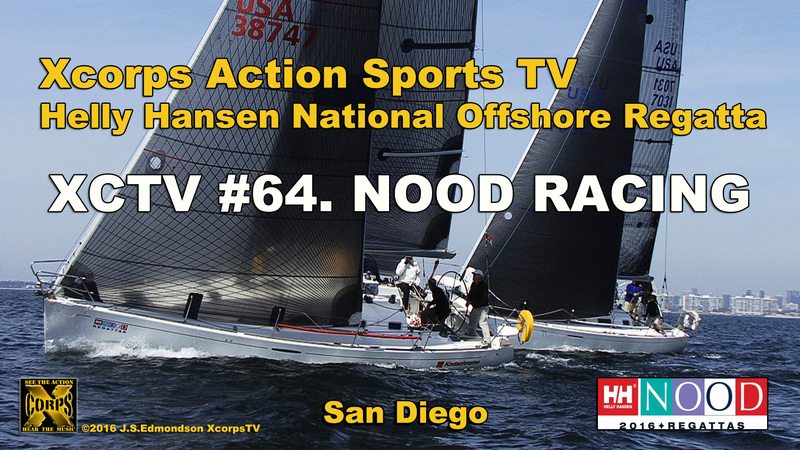 Xcorps TV cameras were rolling again off the coast of San Diego filming the largest pro sailing event in the USA – the Helly Hansen National Offshore One Design Regatta known as the NOOD Sail Races! 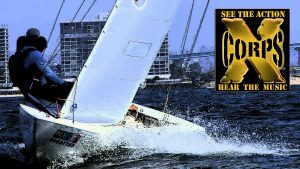 This nautical offshore sail race event includes more than 100 boats with crew teams competing over the three day regatta. Primo southern California weather conditions prevailed making for great ocean scenery video including the sparkling San Diego as a backdrop! 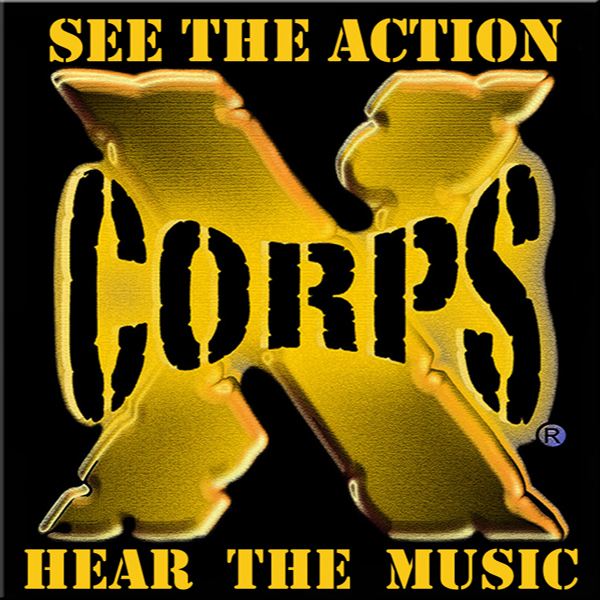 This is a very scenic Xcorps episode featuring a beautiful sport in “America’s Finest City” along with great music from very talented musical artists! This XCTV Special Presentation is hosted by San Diego Yacht Club’s presenter Emily Willhoft. 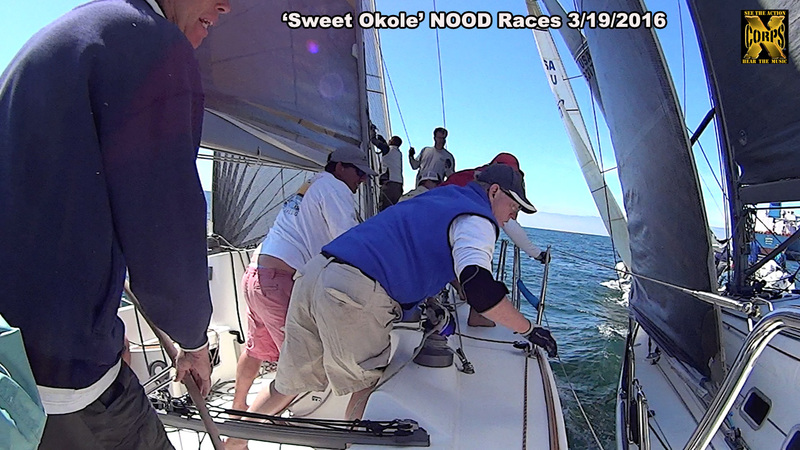 XCTV cameras were on board the official PRESS chase boat as well as recording video on an event race boat the ‘Sweet Okole’ skippered by owner Rick Harris of San Diego. A steady 12 knot ocean wind kept the action moving and the spinnakers tight around the marks along the 2 ocean courses as well as a San Diego south bay course past the Coronado bridge. Check out the wild Race Action and hear the crew calls with a close up in your face POV look at a group of 3 Beneteau First 40.7’s battling for the pin with only inches to spare before bumping glass! The overall title winner for the 3 day March 18-20 event went to J/70 class Bruce Golison from Rossmoor California piloting ‘Mid Life Crisis’. Bruce gets to race now in the British Virgin Islands Helly Hansen NOOD championships in October! Great BIG original music powering this XCTV Action Sports show with colorful spinnakers flying along with a sound track from audio artist Grant Olsen and the song ‘Street Dance In LA’. Additional music in this show by THE Deanna Bogart demonstrating her amazing multi instrumental musical talents as well! Also included in this ocean race sports release music and video from RIVE promoted band Biters Kiss featuring New Jersey artist Chloe Baker performing her talented tune named ‘No One Will’ and a good fit indeed with the NOOD Regatta sailboat race action! Special production Thanks goes out to Rick Harris skipper of Sweet Okole along with Johanna Schaffer at Bonnier Corp Helly Hansen and Sailing World editor David Reed. Full credits as well to team Sweet Okole and Sweet Okole crew videographer Julie Moritz. Additional crew members of ‘Sweet Okole’ making it all happen include Mike Davies, Bill Ramaciotti, Mark Wallace, Nick Lavrega, John Rudderham, Jason Hemmi and Chris Hinck. Special Thanks to Rick Harris and Enrique Mereles for filming on El Nair in the XCTV Flashback segment on this show. Regatta Racing Sponsored by Helly Hansen, Mount Gay Rum, Sailing World, North Sails, West Marine, Sunsail and others.